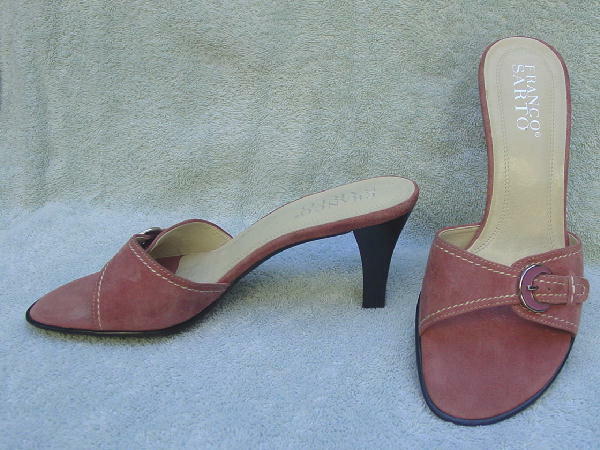 These never-worn slides are by Franco Sarto. They have a faux buckle vamp strap. The faux metal buckle has a silver-tone edge and a mauve color inset and there is white stitching on the vamp. They're in mauve suede with bone linings and insoles. 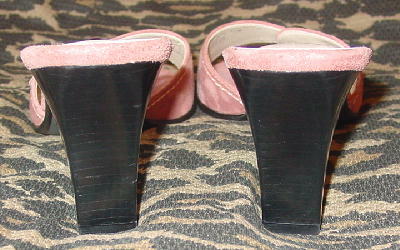 There are black faux stacked heels. A model's boyfriend bought them for her as a birthday present. She takes a size 9 AAA.